Pagham Harbour, south of Chichester, on the Selsey Peninsular in West Sussex, is an area of mudflats, saltmarsh, fields and shingle shore. It is one of the best birding sites on the south coast and very rarely does one have a no- or few-bird day there. To illustrate Pagham and its birds through the year I wanted to mention a few trips. Many common birds will be mentioned for any overseas visitors. Pagham Harbour Local Nature Reserve can be reached by driving from the A27 south of Chichester down the B2145 and following the signs for Sidlesham and Selsey. The main carpark and the information centre can be found at map reference SZ 856965. The harbour is, in my mind, divided into certain areas: the Ferry Pond (some call it the Ferry Pool), the Harbour, Church Norton and Pagham Lagoon. 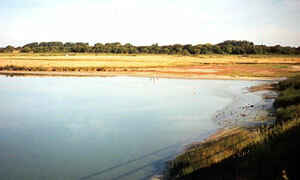 The Ferry Pond is an area of grass fields surrounding a pool with mud edges. It is a good place for waders. 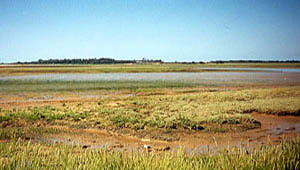 The Harbour itself is a large area of tidal mudflat and saltmarsh. There are various deep channels which are never empty at low tide; the first of these you come to runs parallel to the path between the Ferry Pond and Church Norton. I always walk up this path, at least some of the way, and I refer to this area as The Channel. Church Norton is a church on the south side of the harbour. 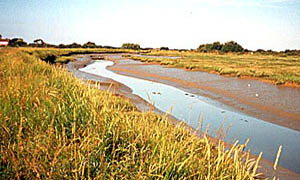 As well as mudflats there are some woody areas, fields, marshes and shingle beach and open sea. 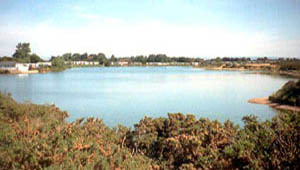 Pagham Lagoon is located to the north of the harbour near the village of Pagham. It is usually best in winter and can hold ducks, grebes and divers.